It appears that the experience of growing wine has turned former stockbroker Luke Smith, the proprietor of Howling Bluff Estate Wines, into an environmentalist. Howling Bluff uses neither pesticides or chemical fungicides. It uses drip irrigation, not overhead irrigation. It mulches its prunings, putting them back into the vineyard or shipping them to Penticton’s composting plant. That puts Howling Bluff on the leading edge with a growing number of wineries moving in this direction. Off The Grid Organic Winery in West Kelowna, with a straw bale wine shop and solar panels, is still connected to the grid only because the local municipality insisted on it. Others with solar panels include Orofino Vineyards at Cawston and Burrowing Owl Winery near Oliver. Undoubtedly, there are others, given how much sunshine there is in the Okanagan and the Similkameen – at least in the summer. It might be another matter on those winter days when the valleys are socked in. There also is some good winemaking at Howling Bluff. The winery has now won three Lieutenant Governor’s Awards of excellence for its Pinot Noirs. Most recently, the 2013 vintage of its Century Block Pinot Noir took that award this summer. Howling Bluff Sauvignon Blanc 2016 ($20 for 611 cases). This was fermented in stainless steel at a cool temperature, resulting in a wine with excellent fruit aromas and flavours. It begins with aromas of lime and grapefruit. On the palate, there are flavours of grapefruit and gooseberry mingled with herbs and spice on the crisp, tangy finish. 91. Howling Bluff Three Mile Creek Reserve Sauvignon Blanc ($25 for 322 cases). This is a complex Graves style white. 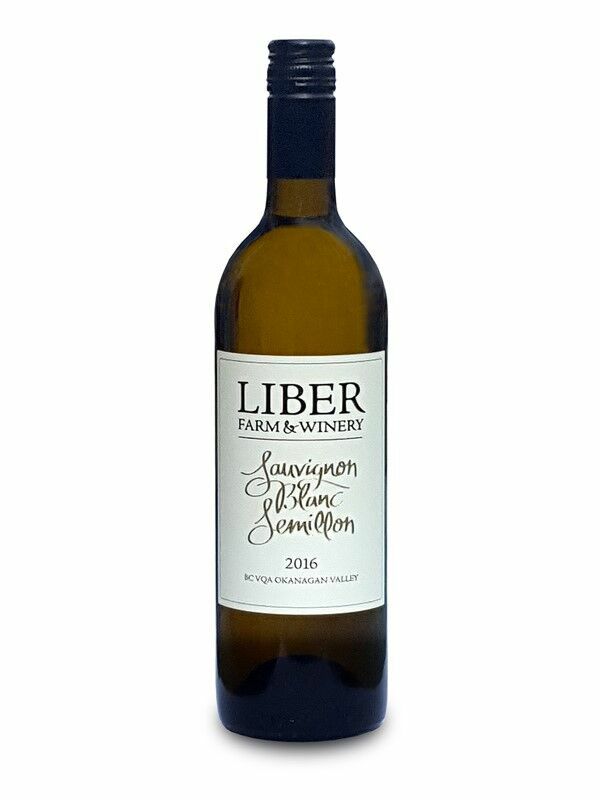 Sixty percent of the juice was fermented in and aged four months in new French oak puncheons while the remainder was fermented in stainless steel. A modest volume of Sémillon in the blend adds complexity. There are aromas and flavours of herbs and grapefruit with a subtle hint of smoky oak in the background, along with a spine of minerality. The finish is crisp and dry. 92. Howling Bluff Pinot Noir Rosé 2016 ($20 for 405 cases). This is a robust rosé, unapologetically dark in hue (readers will know I prefer dark rosés, not pale ones). This wine was the result of bleeding juice from tanks of crushed Pinot Noir and then fermenting the juice in stainless steel at cool temperatures. The wine has aromas and flavours of cherries and strawberries. A slight touch of tannin is on the dry finish. I think this gives a good structure. This is a rosé for year-round drinking. 90. Howling Bluff Acta Vineyard Pinot Noir 2014 ($35 for 277 cases). This is clone 777, planted on a western-facing slope that was once a beach of an ancient lake. Acta is Latin for beach. This wine was aged 12 months in French oak (30% new, 35% each in second and third fill barrels). With bright fruit flavours and silken textures, this is a very appealing Pinot Noir. It has aromas and flavours of cherry and raspberry. It is juicy on the palate and spicy on the finish. 92. Howling Bluff Summa Quies Pinot Noir 2014 ($35 for 250 cases). This wine is made with clones 114, 667 and 777. It had a similar barrel regime to the previous wine. It begins with aromas of cherry, subtle spicy oak and herbal, forest floor notes. On the palate, there are flavours of cherry, strawberry and vanilla. The colour is deep and the texture is both rich and silky. 92. Howling Bluff Century Block Pinot Noir 2014 ($N/A for 83 cases). The 2013 vintage of Century Block was priced at $75. This wine is called Century Block because in the 1980s 100 different varieties of apples grew on this site. Now, it is planted with 1,200 vines, clones 666 and 777. This wine was aged for 12 months in new French oak. It begins with aromas of mint, cloves and red fruit. On the palate, there are flavours of black cherry and ripe strawberry mingled with a hint of oak. The concentrated texture suggests a wine of considerable potential to age. 93. 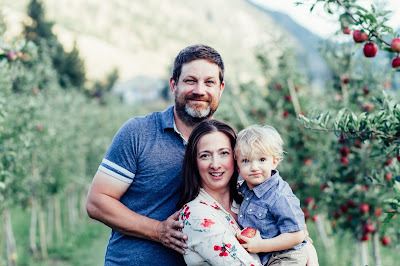 There is good news for those who never get enough of their favourite wines from Clos du Soleil Winery: this Similkameen winery with a 10-acre estate vineyard has purchased another 10 acres just west of the current vineyard. The new vineyard is called Les Collines. Half will be planted next spring with Sauvignon Blanc (three clones) and Sémillon, both of which already grow on the estate vineyard. When the new vines are producing, the winery will be able to increase the volumes of its elegant Bordeaux-inspired white wines. The other half of the property will be left in its natural state. French for “hills,” the Les Collines name was inspired by the rugged nature of the property. “The land is hilly terrain comprised of several steep ridges which is ideal terroir for growing Sauvignon Blanc and Sémillon grapes,” says Michael Clark, the general manager and winemaker at Clos du Soleil. Like the estate vineyard, the property is certified organic. Michael will continue to maintain organic certification for Les Collines and also will be practicing biodynamics here. He believes that living soils are crucial to maintaining vine health and for producing grapes that most truly represent their place. The announcement came shortly after the release of three 2016 wines and a 2014 Syrah. 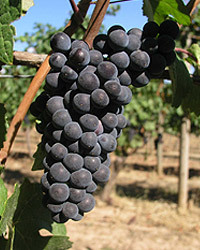 The fruit sources are a mix of estate grapes and purchased grapes, primarily from vineyards in the Similkameen Valley. Clos du Soleil Capella 2015 ($27.90 for 20 barrels). This is 80% Sauvignon Blanc, 20% Sémillon. The wine was fermented in barrel (55% French oak puncheons, 45% stainless steel). Half the wine was fermented with wild yeast and one-third of the barrels went through malolactic fermentation. All lots were barrel-aged on the lees for nine months. The result: a rich and complex dry white. It begins with herbal and grapefruit aromas. There is good weight on the palate, with layered flavours of grapefruit, lime, passionfruit and quince. 91. Clos du Soleil Sémillon 2016 (wine club only; 110 cases). This wine was fermented and aged eight months in concrete, with minimal handling. It begins with floral aromas along with notes of lime. On the palate, the texture is elegant and polished, with flavours of lemon, lime, wet stone around a backbone of minerality. The finish is dry. 91. Clos du Soleil Fumé Blanc 2016 ($20.90 for 860 cases). For this wine, grapes were purchased from two Similkameen vineyards and one in Oliver. The blend is 88% Sauvignon Blanc and 12% Sémillon. Both were blended after fermentation was completed in stainless steel, with light oak contact for the Sauvignon Blanc. It is a delicious and complex white, beginning with herbal and grapefruit aromas. The wine is rich on the palate, with flavours of grapefruit, apples and pears. Bright acidity gives the wine a crisp, refreshing finish. 91. Clos du Soleil Grower’s Series Pinot Blanc 2016 ($20.90 for 522 cases). The Pinot Blanc variety deserves a better profile, given how well in grows in the Okanagan and the Similkameen. This is one of the best examples, a top-flight Pinot Blanc with fresh and floral aromas that reminded me of morning in a hay field after a spring rain. On the palate, it has flavours of crisp apples mingled with hints of citrus. 91. Clos du Soleil Rosé 2016 ($19.90 for 544 cases). 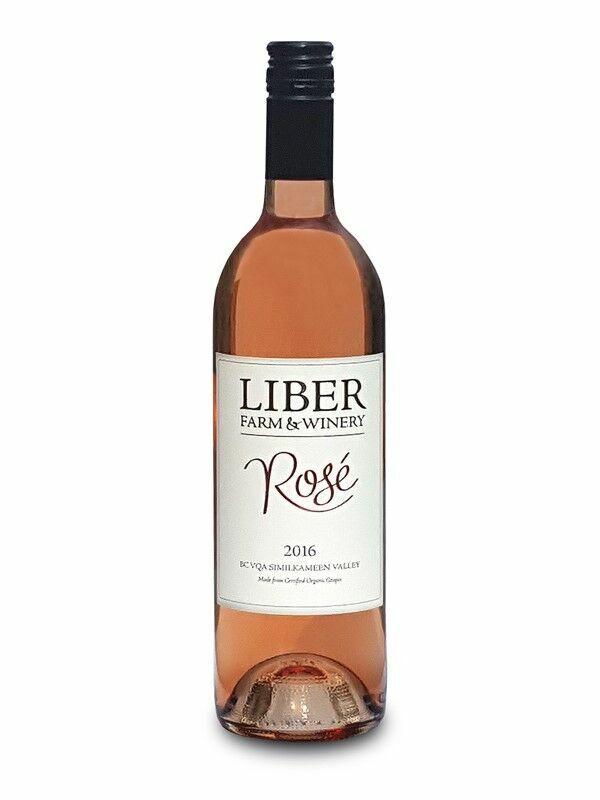 This is a blend of 60% Cabernet Franc, 40% Cabernet Sauvignon, grown specifically to make rosé. The appeal begins with its dark ruby hue in the glass (a rosé that actually looks like one!). 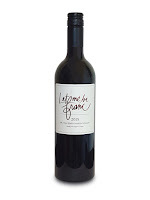 It has aromas and flavours of wild strawberries, cherries and red plums. A touch of tannin and minerality gives the wine backbone and body. The wine is delicious now but is also a rosé to enjoy with food the whole year. 91. Clos du Soleil Grower’s Series Syrah 2014 ($26.90 for 250 cases). This is the winery’s first Syrah. It may be a departure from the Bordeaux template at Clos du Soleil, but it is a fine departure. The grapes are from the same Keremeos vineyard that supplies the Pinot Blanc. The appeal begins with the deep, rich colour and the aromas of black cherry, plum and raspberry. On the palate, there are flavours of plum, black cherry and cola, with a hint of cloves and white pepper on the finish. 91. Clos du Soleil Célestiale 2014 ($26.90 for 57 barrels). This is 38% Merlot, 36% Cabernet Sauvignon, 20% Cabernet Franc, 5% Malbec and 1% Petit Verdot, aged 15 months in French oak. This is a very approachable Bordeaux blend, beginning with aromas of black currant, cherry and raspberry, followed by flavours of black cherry, blueberry and plums. The long ripe tannins give the wine easy elegance. 92. Michal Mosny, the general manager and winemaker at Lunessence Winery & Vineyard in Summerland, plays classical music in the vineyard, in the cellars and in the tasting room. The vines are treated to Bach and Mozart. The red wines get Puccini operas while the whites get Verdi operas. Previous vintages at Lunessence have been excellent. However, the recent releases are even more in harmony than before. Lunessence Muscat 2016 ($20 for 88 cases). 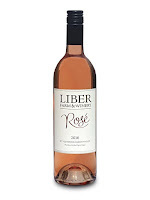 The lovely wine begins with aromas of rose petals and spice, leading to flavours of peach, mandarin orange and spice. A touch of residual sweetness accents both the aromas and the flavours. 91. Lunessence Sauvignon Blanc Muscat 2016 ($22 for 660 cases). This blend also includes small amounts of Viognier, Chardonnay and Sémillon. The wine has aromas of apricots. On the palate, there are flavours of apricot, citrus, ripe apple and pink grapefruit. The body is light but the texture is juicy and refreshing. 90. Lunessence Sauvignon Blanc Winemaker’s Cut 2016 ($24 for 270 cases). The wine begins with aromas of herbs and citrus. On the palate, there are flavours of citrus supported by subtle oak notes (20% of this wine was aged five months in Slavonian oak). The finish is dry. 89. Lunessence Pinot Blanc Oraniensteiner 2016 ($22 for 270 cases). The wine begins with aromas of melon and green apple, which are echoes in the flavours. A touch of residual, nicely balanced with acidity, give wine a rich texture. The spine of minerality creates the impression of a dry, spicy finish. 90. Lunessence Quartet 2016 ($18 for 550 cases). 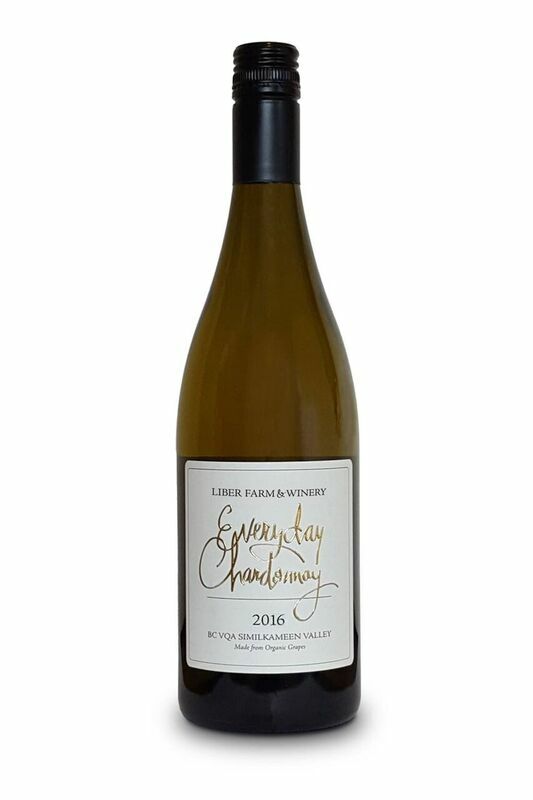 This is a blend of Viognier, Riesling, Gewürztraminer and Orange Muscat. The wine was fermented in stainless steel, partially with wild yeast, and had some time on lees. Consequently, a delicate bready note mingles with the fruit aromas. On the palate, there are flavours of ripe pineapple. A hint of residual sweetness gives the wine a rich finish. 91. Lunessence Blanc De Noirs 2016 ($20 for 270 cases). This fashionably pale rosé is 80% Cabernet Franc and 20% Pinot Noir. It was fermented with natural yeast and was aged four months on the lees and another four months in stainless steel before bottling. The wine begins with delicate strawberry aromas. The texture is fuller than the colour suggests, with appealing flavours of strawberry and raspberry. The finish is dry and crisp. 90. Lunessence Duet 2016 ($20 for 400 cases). This fruit-forward red is a blend of Cabernet Franc and Syrah. It was fermented 80% in stainless steel and 20% in American oak. The wine has aromas of red berries with a hint of cedar. On the palate, there are flavours of cherry with a touch of black pepper. The soft ripe tannins give this wine a juicy and approachable texture. 90. Lunessence Essence 2015 Special Late Harvest ($26 for 173 cases of 375 ml bottles). This is a blend of Pinot Blanc, Oraniensteiner and Gewürztraminer. The aromas and flavours are ripe and exotic – hints of honey and orange marmalade with a spicy accept. The texture is fleshy. The lingering finish is sweet and well-balanced. 91. Lunessence Merlot 2015 ($30 for 330 cases). A bold, dark wine with 15% alcohol – reflecting a warm vintage – this begins with powerful aromas of black cherry, plum, cassis and vanilla. It is a powerful wine with concentrated flavours of black cherry mingled with dark chocolate, vanilla and leather. It is a wine that will command the table. 92. Lunessence Cabernet Sauvignon 2015 ($30 for 330 cases). This dark wine begins with aromas of cassis, leather and vanilla. The palate is rich with flavours of dark fruit mingled with vanilla. The long ripe tannins contribute to a generous texture, but with the structure to age well and develop further complexity. 91. Lunessence Winemaker’s Cut Syrah 2015 ($32 for 150 cases). The heavy bottle announces a bold Syrah, a wine that begins with intense aromas of fig, plum, black cherry and vanilla. The flavours follow through with dark fruit, leather and pepper. This is an example of why the Okanagan is getting a reputation for powerful Syrahs. 92. Lunessence Crescendo MMXV 2015 ($30 for 550 cases.) This is the winery’s initial Bordeaux red – a blend of Cabernet Sauvignon, Cabernet Franc, Merlot, Malbec and Petit Verdot. The wine was aged six months in French and Slavonian oak and six months in stainless steel. The wine begins with aromas 0f cherry, red currant, vanilla and mocha. On the palate, there are layers of flavour beginning with black currant, black cherry and blackberry. The texture is rich. The finish has notes of spicy red and black fruits mingled with hints of cedar. 91.